As a major celestial event, the Summer Solstice results in the longest day and the shortest night of the year. It is celebrated in June in the Northern Hemisphere, but those in the Southern half of the earth experience it in December. If you live below the equator, remember to shift all of the dates listed. The great power of the sun has been hailed for centuries by indigenous civilizations. Many celebrations, feasts, and magical events happen on this day. It is also considered a time when the veil between the worlds is thin, and thus it was believed in ancient times that evil spirits could make their way into this plane of existence. Therefore it was a time of creating protective talismans. There is a reason why the Shamans of ancient Europe were considered to have, “Fire in the head”—because the Shaman archetype lives in the South, a place of ultimate light, where true reality is illuminated. If you look carefully, all is revealed to you at this time of the year. Summer Solstice is the high point of the year and thus this set of Rituals has many components that manifest the energies of this Holy Day into your reality. You will start by going on a journey to meet your Inner Shaman where you will be shown your own unique shamanic gift. You will then create a Talisman of Protection which can be placed inside your Sacred Circle Bundle afterwards to keep you shielded from harm. Then you will send out prayers for the World, because remember, the work you do isn’t just for yourself but for the betterment of the whole Earth. And in the end you will perform a Divination using new tools. 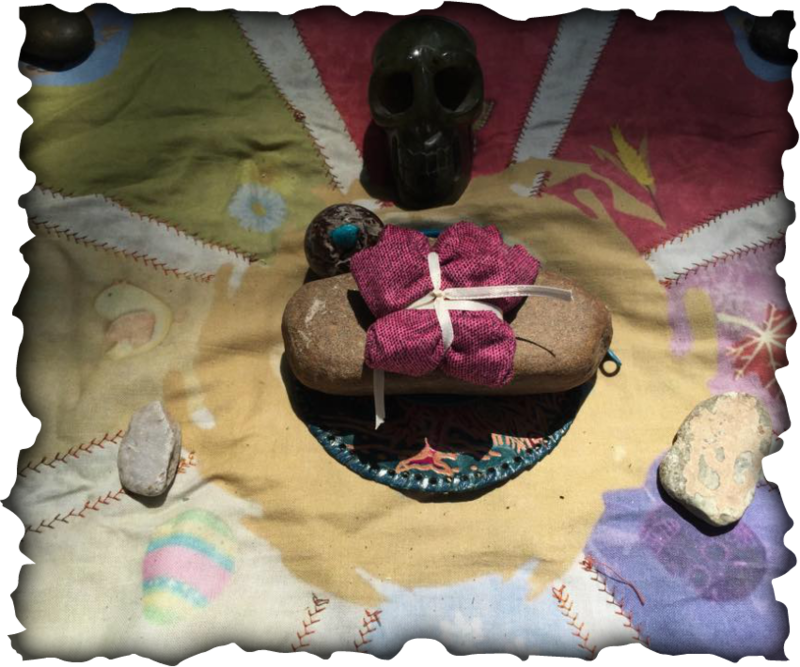 The closing of the Ritual Workshop will included the Activation of your SOUTH Stone.